“Adopt-A-Family has been life-changing, a Godsend. We were on the verge of getting evicted from our first home together. I never knew where I was going to live or how I was going to make ends meet. 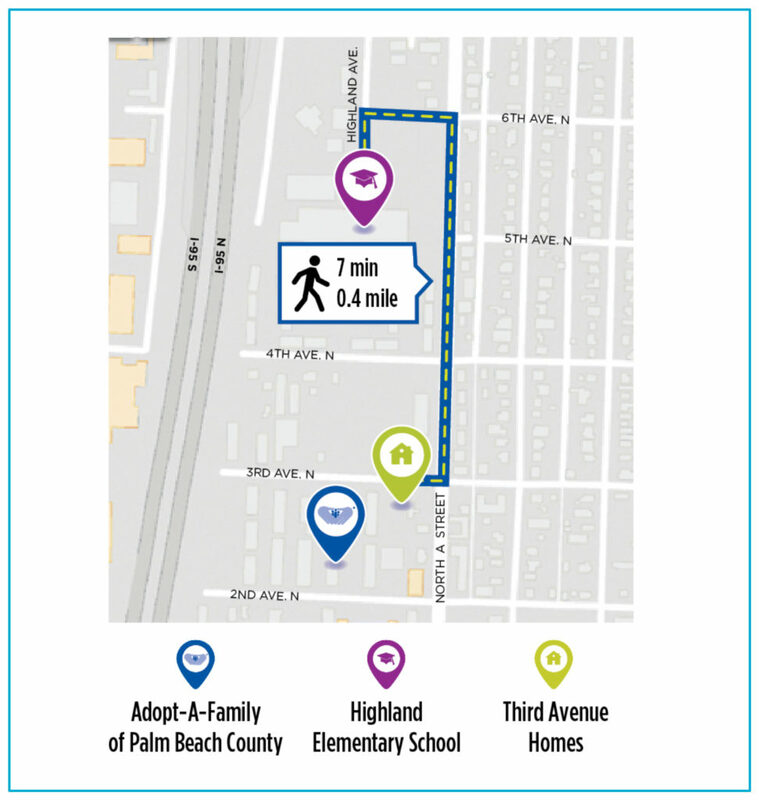 In 2014, a generous donor provided the funds to enable Adopt-A-Family to purchase four parcels of land that became available adjacent to the agency’s Family Resource Center in Lake Worth. Recognizing this as a pivotal opportunity, we embarked on a mission-focused assessment to identify the most urgent needs in the community. It was abundantly clear that the shortage of affordable housing in Palm Beach County was the primary barrier to stability for low-income households. As we studied the impact of unstable housing, its detrimental effect on students’ educational outcomes was especially alarming. Students without a stable home are typically plagued by chronic absenteeism, which results in lower test scores, repeating grades, and high rates of drop out. Adopt-A-Family turned to a highly successful partnership between a housing agency and McCarver Elementary School in Tacoma, Washington to develop best practices for our programmatic framework. It is a groundbreaking collaboration between a housing authority and an elementary school designed to improve educational outcomes through the provision of stable housing. McCarver has provided a foundation for our partnership with our sister school, Highland Elementary, located three blocks north of Third Avenue Homes. The school has one of the highest populations of homeless students in the county. 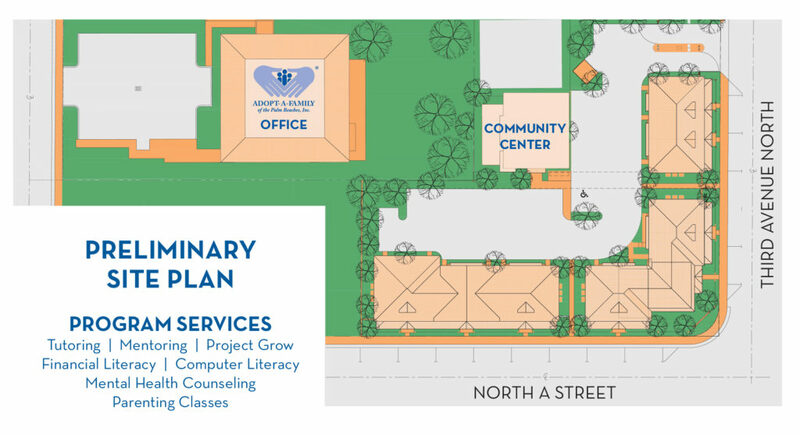 Third Avenue Homes will include a new community center that will be a hub of education-centric case management and support services for the whole family, including financial literacy training, mental health services, tutoring, mentoring, and access to technology to increase each household’s ability to achieve stability and self-sufficiency. is the Fair Market Rent for a two-bedroom apartment in Palm Beach County per month, which would require a single parent to work 3.3 full-time minimum wage jobs simply to afford housing. 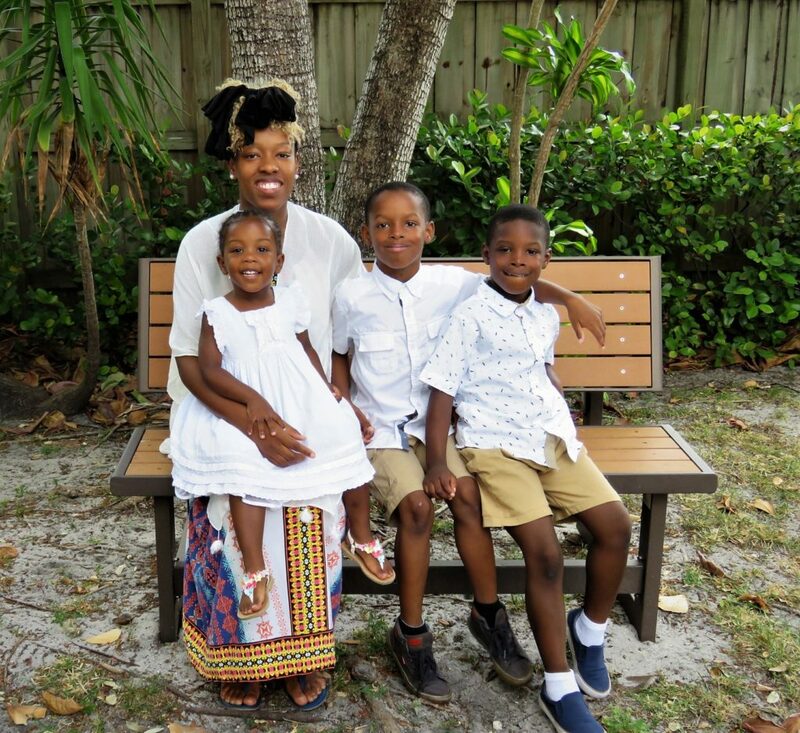 is the increase in homeless families with children between 2017 to 2018 according to Palm Beach County’s 2018 Point in Time Homeless Count. homeless students were identified within the Palm Beach County School District in 2018.